Extra Cars Burnout Revenge extra cars? I was playing Burnout Revenge offline and there was a bunch of new cars I have never seen before. They all have green boost which doesn't really happen unless it is a special car. I saw a Spike TV car, a GameStop car, and I think it was an Alien Ware one, and finallly the 360 racer. There were many more but I didn't get a close enough veiw to see what they are. Do you unlock these cars later in the game or what? These are Downloadable cars from the marketplace, although not all cars are available in all regions and I think some of the cars were only ever available in game stores in the states. If I'm right, the circut city car and gamestop car comes from the stores. 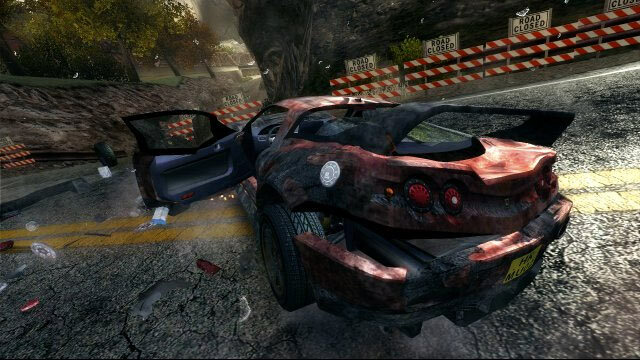 In Burnout Revenge, players compete in a range of racing game types with varying aims. These take place within rush-hour traffic, and include circuit racing, Road Rage (where players cause as many rivals to crash as possible within a time limit, or until the player's car is wrecked), Burning Lap (a single-lap, single-racer time attack mode). wtf? This is some odd spam. That is straight from wikipedia. Was that post made just to plug your car review site? Have you seen my banhammer? i need the links of downloading the cars. can anyone help me?? The store kiosk cars are no longer available :( .